Internet Cafe from Cebu to nationwide. The idea of Engy cafe was carried out in the year 2008, starting its first branch, the Engy cafe-PIPC in Asia Town IT PARK. After almost two years of assessment of the demand of the internet services, Ng Khai Development Corporation, the mother company, decided to put up its second branch, Engy tech cafe in another strategic area in Tisa, Labangon. Engy cafe started when the demand for varied and one-stop service increased. People prefer that wherever they go, computer service such as surfing, repairs, gaming and other differing services are made available to them at anytime they need them. Responding to this demand, Engy cafe is equipped with computer supplies, accessories and endows other numerous services like photocopying, printing, scanning, internet browsing, gaming, computer and cell phone repairs and not to mention the offering of food and drinks. 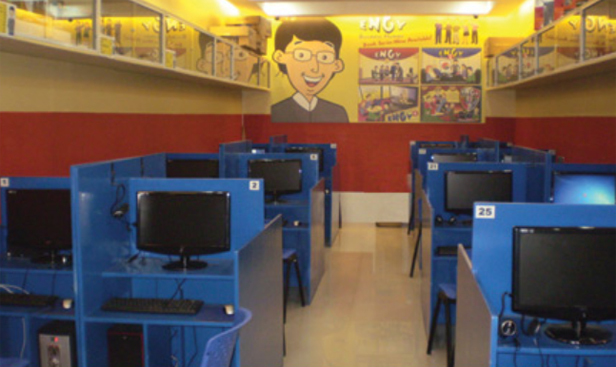 Thus, it is an all-in one internet cafe where customers can surf, browse, play, enjoy, relax, refurbish and buy whatever they need for their computer. The premeditated goal of Engy cafe is to put up at least one Engy cafe that would serve customers with its all-in one varied services. It is an aim that someday, people would find a computer store, where they can avail much more than of a service, in every strategic place nationwide.